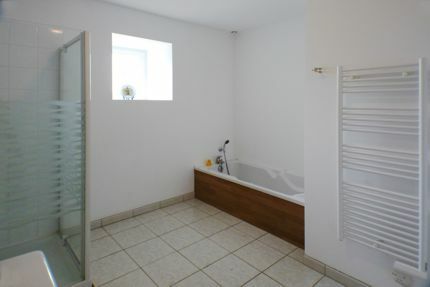 Downstairs, bathroom 1 has a bath, shower cubicle, double sink vanity unit with overhead lighting and heated towel rail. The floor is of ceramic tiles and has under-floor heating. There's a separate loo - see the floor plan. 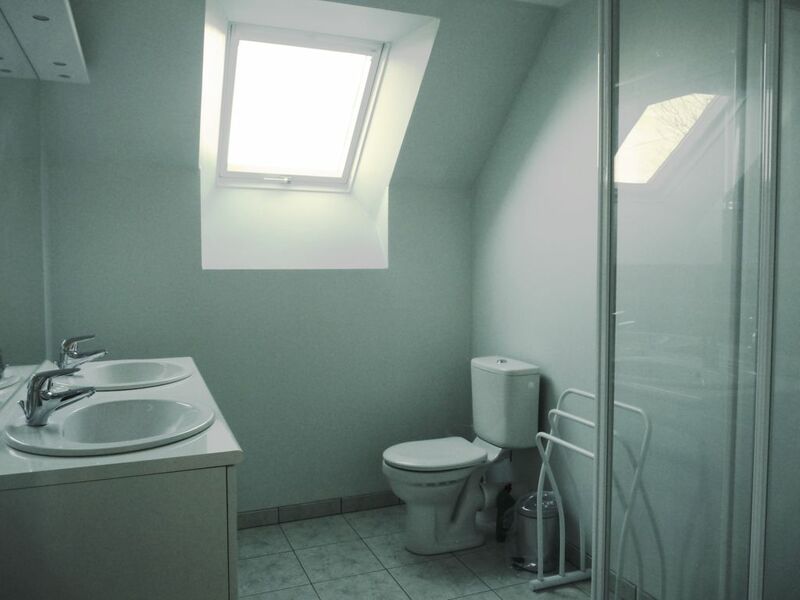 Upstairs, bathroom 2 has a shower cubicle, a double sink vanity unit with overhead lighting and a towel rail. 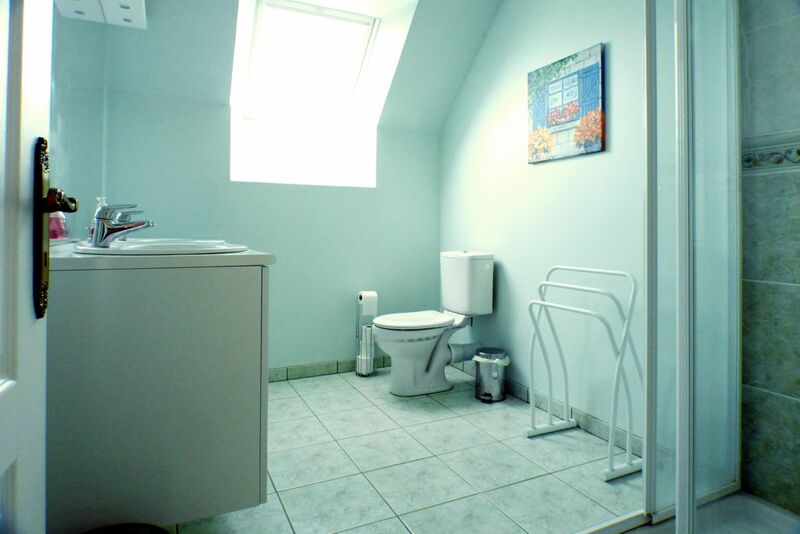 The loo is integral with the bathroom. The floor is of ceramic tiles and has under-floor heating. 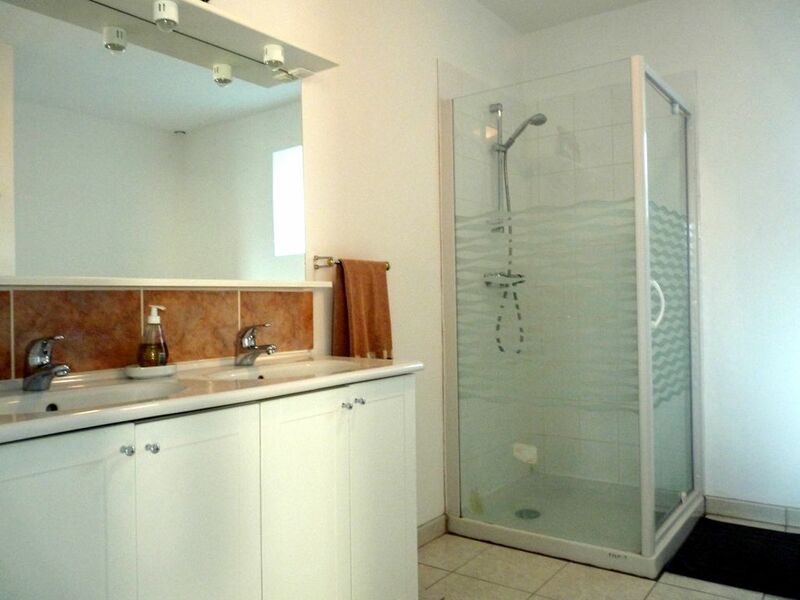 Both have shaver points and all towels and bath mats are provided. We provide liquid hand soap in refillable dispensers and shower gel at the start of your holiday. If you forget your toothbrush, toothpaste or facecloth, just ask. We have a toothbrush fairy. A baby bath and changing mat available on request.